Philadelphia Eagles quarterback Carson Wentz throws a touchdown pass to his tight end Zach Ertz in the second quarter against the New York Giants. WENTZ threw 3 touchdown passes completing 26 of 36 passes for 278 yards with no interceptions, leading the Eagles to a 34-13 victory over the Giants. 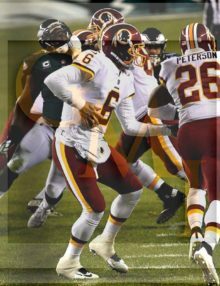 Check out these 6 selected images from tonight’s Washington Redskins vs Philadelphia Eagles game, won by the Eagles 28-13. 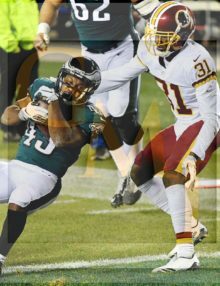 Check out these three selected 6 selected images from tonight’s Washington Redskins vs Philadelphia Eagles game, won by the Eagles 28-13. 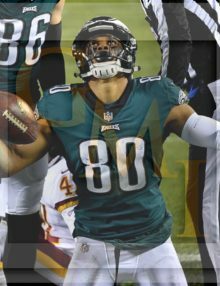 These images captured the key plays of the game: DARREN SPROLES’ first touchdown since 2016; CARSON WENTZ’S touchdown pass to JORDAN MATTHEWS; JORDAN MATTHEWS touchdown reception; JORDAN MATTHEWS celebration; RASUL DOUGLAS and NATHAN GERRY celebration of a critical interception ; and Washington Redskins substitute quarterback MARK SANCHEZ handing off to ADRIAN PETERSON, who ran for a 90 yard touchdown on SANCHEZ’S first play from scrimmage. 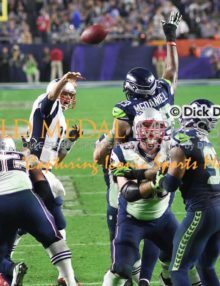 On MARK SANCHEZ's first play under center after replacing Washington's starting quarterback Colt Mcoy, who fractured his fibula and will miss the rest of the season, SANCHEZ hands off to ADRIAN PETERSON who ran 90 yards for a touchdown. The Eagles went on to win 28-13. 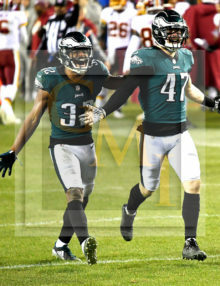 Philadelphia Eagles cornerback RASUL DOUGLAS and outside linebacker NATHAN GERRY celebrate GERRY’S interception of a Mark Sanchez pass in the fourth quarter. 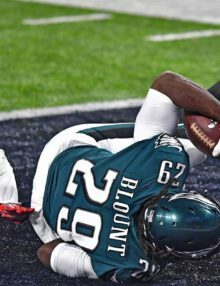 The Eagles went on to win 28-13. 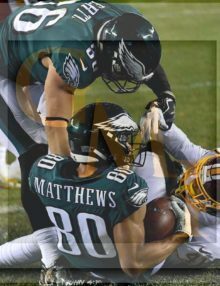 Philadelphia Eagles wide receiver JORDAN MATTHEWS receives a 4 yard touchdown pass from quarterback Carson Wentz in the third quarter against the Washington Redskins. 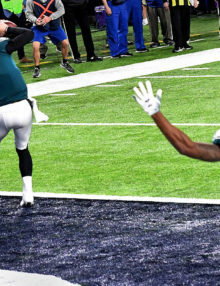 The Eagles went on to win 28-13. 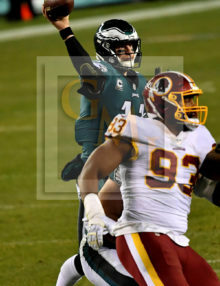 Philadelphia Eagles quarterback CARSON WENTZ throws a 4 yard touchdown pass to wide receiver Jordan Matthews in the second quarter against the Washington Redskins. 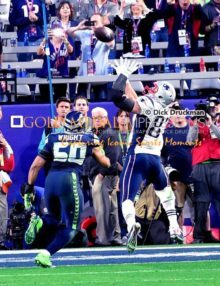 WENTZ completed 27 of 39 passes for 306 yards leading the Eagles to a 28-13 victory.